KOSTER - Barbara Jean Koster, age 76, of Middleville, passed peacefully into the arms of her Savior Jesus Christ on Friday, August 31, 2018. Barb touched the hearts of all those that knew her, emanating God’s light with her joy and kindness. 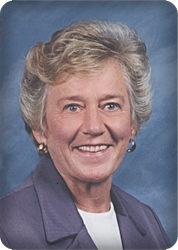 She will be lovingly remembered by her husband of 57 years, Gerald; daughters, Laurie (Rick) Miller, Sherri (David) Whitlock, Carol (Mike) Takas, Kimberly (Randy) Beute; a beloved grandmother to grandchildren, Ryan (Erin), Kelsey, Breanna, Cassondra, Mikayla, Logan, Eric, Kira, Collin, Jordan; great-grandchildren, Kylin, Owen; brother, Harv (Jackie) Seinen; sister, Elaine (Bob) Post; sisters-in-law, Lucile Patmos, Julia Burmania; many nieces and nephews. She was preceded in death by her parents, James and Dena Seinen; brother, Kenneth Seinen, sisters-in-law, Thelma Schutte, Irene Huizinga; brothers-in-law, Don Schutte, Tom Huizinga, Jay Patmos, and Nelson Burmania. The family will greet visitors on Tuesday, September 4, from 1 - 3 and 6 - 8 pm at Stroo Funeral Home. The funeral service will be held 11 am Wednesday, September 5 at Wayland Christian Reformed Church, 303 E. Elm St., with Rev. Gerald Zandstra officiating. Interment in Winchester Cemetery. Memorial contributions may be made to Moline Christian School, Wayland Christian Reformed Church or The Gideons International.